Running is the best way to keep our body fit and healthy. Those who want to burn fat and make weight loss can run regularly in the morning. We cannot describe the benefits of running in the morning in words. When you run in the gentle morning atmosphere, you will get the psychological benefits along with the physical benefits. 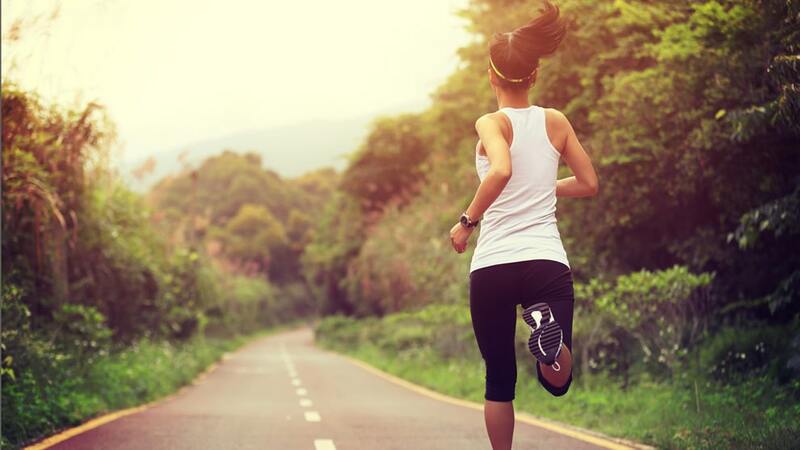 Running is more effective and also less time-consuming. Besides, in your busy day, morning is the free time to take some exercises. And among the workouts, a 10 minutes run is more effective. Morning exercise lowers blood pressure. Dr. Scott Collier from the State University did a study on some groups of people of 40-60 years old. They walked or run at 7 a.m. and 1 p.m. and 7 p.m. From this study; he saw that the group of early exercisers experienced 10 percent drop in their blood pressure. So, we see that early morning run benefits us for long-term. You can also get the benefits of five minutes running by walking briskly for 15 minutes. The person with high blood pressure, cholesterol, diabetes should run for a few minutes in the morning. Another benefit of running is the stress relief. Every day running in the morning will help you to keep your mind fresh to start your daily work. So, you can start your day with a cheerful mind. It will save you one step ahead to reach your goal. It provides you a positive mood for a day. We know physical exercises increase the oxygen flow in the blood and raise heart rate. A short-term exercise such as running helps to improve brain, cardiovascular fitness in a healthy person. So, the person who runs regularly has the increase blood flow to the brain. Sedentary adults can affect by the disease Alzheimer’s. So, while taking a decision of running in the morning, you should know when physical exercise is connected with the selective brain blood flow. Most of the busy people do not have enough time to communicate properly with the family and social people. We miss many social events for our work or other purposes. The morning exercise such as running and walking gives us the opportunity to meet our neighbors. We can talk with them in the morning. Running is the best way to weight loss. But you should add some other training to build your muscle, burn fat. Some elite athletes say that when you wake up in the morning, you should run for a while. Then start other physical exercises. But when you start running, you should go to your bed earlier. Running five minutes every day reduces the cardiovascular disease. The person who runs in the morning regularly decreases 30 percent risk of death and also drops 45 percent of the risk of cardiovascular disease death. So why you are waiting! Start running from today! Running works as coffee. When you take it, you will feel better. So, just like taking a coffee, finishing a short time run will keep you energetic to start your day. It causes because running increases endorphins, adrenaline in the body that provide good feeling. When we eat, our body has to perform some work to provide energy which is used to replenish the body and some energy stores as fat. If you add some exercises in the morning, your body quickly burns calories throughout your day. Do not skip a healthy meal or a full breakfast because a healthy breakfast will provide you long-term energy and also control appetite. Run in the morning daily works as the sleeping aid for night sleep. From a study in 2012, found that who run in the morning regularly have the improvement of night sleep. Controlling mood, increasing metabolism, removing depression, decreasing arousal, affect the sleep quality. Although this study focuses on the morning run, running in the evening or night also reduce the sleeping difficulty. Morning run forces you to wake up early in the morning. So, to start a morning run, you should prepare your mind to make a discipline. By this, it helps you to make a strong mind of self- control. When you make training of running for few weeks, it develops your consistency. This consistency will help you to reach your fitness goals because, in the case of fitness, consistency is the key. So, before going bed at night, you should prepare your clothes for running, alarm your clock. Waking up earlier, running in the morning every day will help you to improve your physical fitness. The sacrifice of waking up in the morning will make your mind to think that to reach a goal; you need to be a hard worker. Along with some other exercises, you should make a habit of a morning run. When we decide to do some physical exercise, something can appear, and you may decide that you will do the exercise tomorrow. But when you get up in the early morning, you have enough time to run. Then you can keep your all-day schedules time wise. Besides, while running, you can think your day plans and programs. Enjoy a smooth working day! The only argument against the morning run is that you need to get up from your comfort sleep and leave your bed early. Though you can sleep an extra hour, it will not refresh you on your day. So, if you have a strong will, you should leave your bed early and go out for your run. You can take any family member with you. It will help you to make your habit easily. Everything cannot change magically overnight. So, try for a few weeks, and you will see your progress. Think your body as a machine and try to run it accordingly a routine to keep it well. Start morning run and get the benefits of running in the morning.